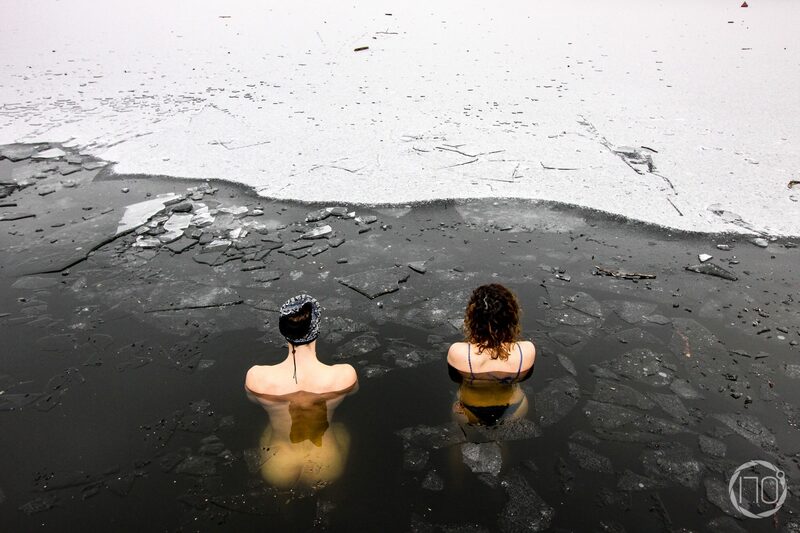 Those who wake up early on a Saturday morning to jump into an ice cold lake are not normal. This is why you have to love them. The Ice Dippers are a wonderful, ever growing group of creative, driven, extravagant and somewhat manic pioneers. We distinguish ourselves from others because we do what they won’t. When others ask us about our weekend on Monday, we proudly tell them that we went swimming. Outside. At -10°C. And we laugh about ourselves for being so crazy. It feels good not having to do that on your own but to share that outsiderness with others. In a normal winter, it is almost impossible to meet new people. No one ever leaves their house, everybody on the street and in public transport is depressed and nobody stays in places long enough to relax. When we started Ice Dippers, all these new and interesting characters started gathering at the same place at the same time, every Saturday. Ice Dippers is a space where you are sure to encounter that spirit of innovation and positive thinking that you are missing so much in wintertime.